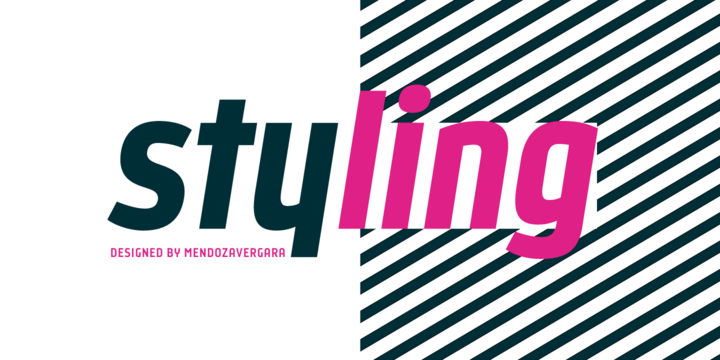 Styling is a sans serif typeface created by Mendoza Vergara and published by Los Andes that was inspired by old cars and planes. It comes in 20 fonts, 5 weights and italics, 2 familyes, Regular and Alternates. This contemporary font has aerodynamic shape and offer a multitude of possibilities. A font description published on Friday, February 6th, 2015 in Fonts, Los Andes, Mendoza Vergara by Alexandra that has 2,834 views.